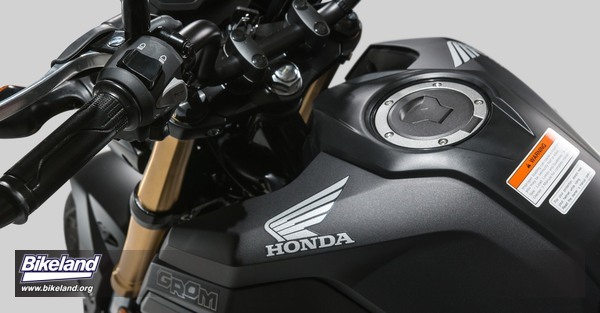 Honda's cult hit Grom gets a bit of a restyle this year, going for a cooler, edgier (in both senses of the word) look. Functionally it seems unchanged, other than a minor 4lb weight increase. "We're excited to refresh the Grom with an assertive new look for 2017," said Lee Edmunds, Manager of Motorcycle Marketing Communications at American Honda. "Since its 2014 introduction, this fun-loving motorcycle has been a big hit in a little package, singlehandedly establishing a thriving market for small-wheeled, small-displacement, big-personality road bikes that lend themselves to personalization. 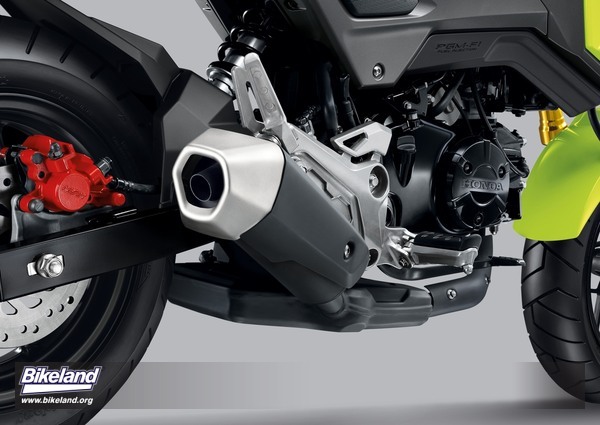 Now, the Grom's styling is even more exciting without losing any of the original's fun appeal." 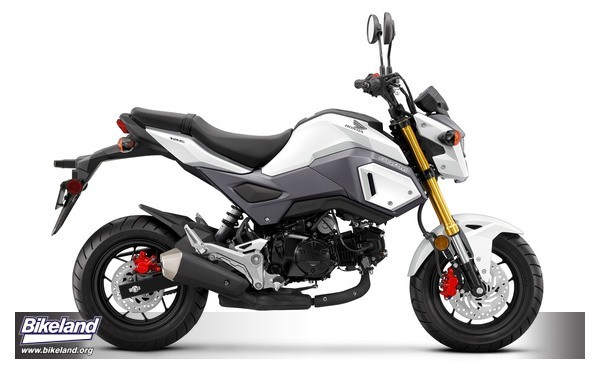 Part minibike, all motorcycle, the Grom has been a resounding success from the start, with a package that's manageable yet comfortable for full-sized adults. Though its wheels are only 12 inches, the bike has full-size features like a sturdy steel frame, a 31mm inverted fork, mono-shock rear suspension, hydraulic disc brakes and a 125cc single-cylinder four-stroke engine. Now the Grom gets an edgier look, thanks to an integrated fuel tank and side panels, along with a modern, stacked LED headlight layout. 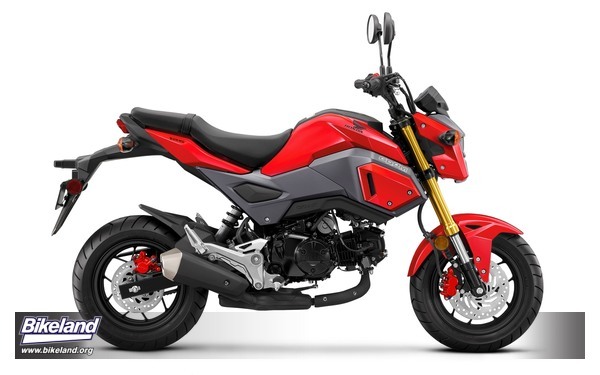 Add a new flip-key, sportier handlebar, under-slung exhaust, upswept tail unit and a higher passenger seat, and you've got a Grom that's as fun as ever but with a daring new look.